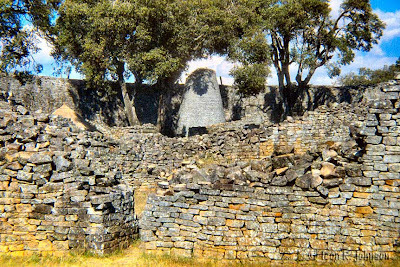 Great Zimbabwe is located near Mazvingo, Zimbabwe. 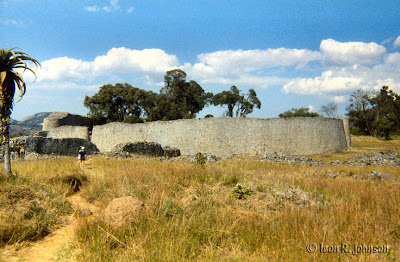 It was the inspiration for Rider Haggart's novel King Solomon's Mines. (The best movie adaptation was filmed in East Africa in the late 1950's. 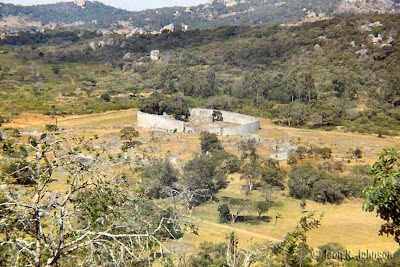 A silly version was filmed in Zimbabwe in the 1980's. A movie loosely based on the novel has been shown on the Hallmark Channel.) 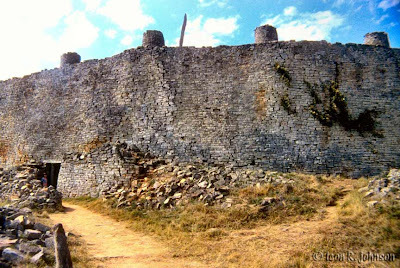 The most famous aspects of the ancient city are the "Acropolis" and the "Valley Complex." 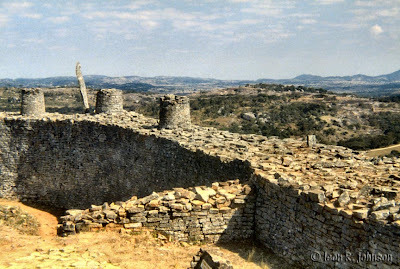 Wall and entrance to the "Acropolis" atop a hill overlooking the "Valley Complex"
Thank you for sharing your pictures of Africa. I have friends who have lived in Africa, including my cousins. 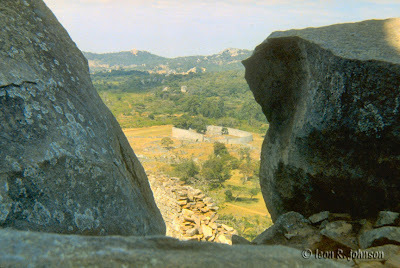 Please write more and tell us more about your memories of Africa. I am glad to have found your blog and community. I will tell my friends about it.